The Saint Etienne church has had a turbulent history. Built in the 11th century on the ruins of a former Visigoth chapel, it was then destroyed, rebuilt in the 13th century, destroyed again and rebuilt in the Gothic style in the 14th century. All that remains of the Romanesque church is a column of Saint-Pons marble and a capital. The bell tower was completed in the 17th century and the keystone on top bears the date of 1666. 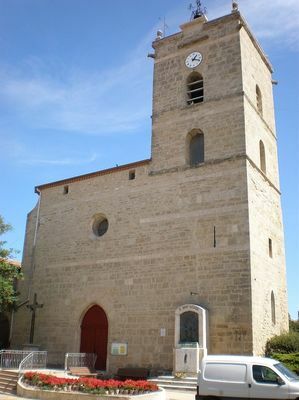 There is no review about Eglise Saint Etienne De Boujan, be the first to leave one !